I've been buying from tons of online merchants over the past 2 years of my Jpop fandom. I've always told people to go out and order a single or two from their favorite singers and such, and I think this entry might be a great help to anyone who's a bit lost as to which website is best suited for their needs. Shipping fee is generally on the higher side. You can choose from a variety of shipping methods, such as Express Mail (EMS), Registered Air Mail, Air Mail and Economy Air. Shipping is very fast if you choose EMS, otherwise it'll depend on which method you choose. Shipments are very well-packed and safe. Service is excellent and prompt. CDs generally don't have much discounts. Your first-press CDs are guaranteed if you order when the "First-press Available" indication is on. You might get a first-press CD from time to time even if the indication is not on. Limited edition CDs generally run out very quickly. Gives out frequent shopper points, usually 3% of the item price. 1 point is equivalent to a 1 yen discount on your next purchase. You must use points in denominations of 100 points. 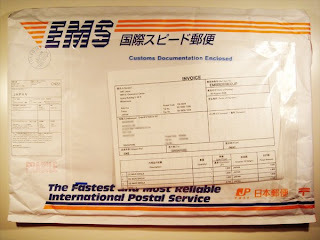 Shipping fee is generally on the lower side, with the exceptions of magazines and heavier photobooks. You can only choose EMS. Shipping is not as fast as CDJ, but is still pretty good. Shipments are not as well-packed as CDJ, but is still safe for a few CDs. If you buy too many at one time, the cases might come cracked. Happens rather often, but they will replace the cases for you free of charge. The CDs might come damaged from time to time, but you can request for a new one using their enquiry form. They usually will comply unless you're a new buyer. Service is great and prompt, although some of their staff are not that well-versed in English. CDs generally have substantial discounts. Your first-press CDs are NOT guaranteed, although it is generally agreed that if you order a few weeks before the release date, you should get a First-press edition (where applicable). Limited edition CDs generally run out very quickly, but HMV will restock them in a few weeks if the item has not been released yet. These usually last for quite a while. They restock their LE versions randomly sometimes too, so you might want to keep an eye out. HMV has a new point system effective from 18th January 2009, and it is confusing as hell. Click [HERE] to see how it works. Shipping is FREE if you order above 39 USD. Otherwise, the shipping is expensive. Shipping is SLOW, unless you choose priority mail, which is REALLY expensive. Shipments are not as well-packed as CDJ, but is still safe for a few CDs. It also varies from item to item. Does not count towards Oricon. Service is great, although might be a bit slow at times. CDs generally don't have much discounts, and cost higher due to the shipping fee offset. They do have clearance sales during which the CDs are heavily discounted. However, it seems ordering CDs at YSA, even with the shipping fee offset, ends up being CHEAPER than HMV (after shipping fees). This might be due to the Japanese yen being ridiculously high. You do get EMS at HMV though, so it's really up to you. Your first-press CDs are not guaranteed. Chances of getting First-presses at YSA are generally lower due to it being an overseas (HK) merhcant. Doesn't give out frequent shopper points, but gives out Japanese toys, posters and such from time to time. Exchange of items are a troublesome process. They require you to take a photo of the defective item, email it to them, get a Return Merchandize Authorization (RMA) Number, mail the item BACK to YesAsia and wait for them to give you a new one. Expect the whole process to take about 3 - 4 weeks. Your postage fees will be refunded to you as YesAsia credits. Shipping fee is generally on the very high side. You can only choose priority shipping, which is a random pick between DHL and FedEx. Shipments are generally very well-packed and safe. 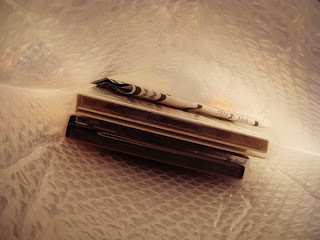 If you buy slightly lesser items, the items might be packed in thin cardboard mailers with little bubble wrap. CDs generally don't have much discounts, although they slash the prices of older CDs by quite a lot from time to time. Your first-press CDs are not guaranteed. Limited edition CDs generally run out very quickly, but restocks every now and then. Gives out MINIMAL frequent shopper points, usually 1% of the item price. 1 point is equivalent to 1 yen discount on your next purchase. There is no minimum threshold for usage of points. Free shipping is generally VERY SLOW. It will be slightly faster if you choose the expensive priority mail option. Shipments are not as well-packed as other online retailers, but is still safe for a few CDs. Service is generally slower and a bit lacking. CDs generally don't have discounts. The price offset due to free shipping is not as extravagant as Yesasia. Your first-press CDs are not guaranteed. Chances of getting First-presses at PA are generally lower due to it being an overseas (HK) merhcant. You must pre-order a limited edition CD well in advance of the release date, otherwise your chance of getting a limited edition CD is practically zero. They might CLAIM to be able to get it for you, but the numerous nightmare stories (having to wait MONTHS before they tell you they can't get it for you) of online forumers, as well as my own, prove otherwise. Doesn't give out frequent shopper points. Shipments are generally well-packed and safe. CDs generally don't have discounts. Your first-press are not guaranteed. Only operates in CHINESE or JAPANESE. Customers not fluent in these languages might have problems navigating the site and communicating with customer service officers. Has been successful in obtaining a few rare, sold-out CDs for their customers. Is a MIDDLE-MAN site. This site helps you bid/purchase on Yahoo! Japan Auctions. This is not a merchant. Shipping fee depends on which option you choose, but is quite high irregardless. Commision fees are extravagant, so would not recommend using their services unless you have no choice or you are buying LARGE amounts of CDs from a single auctioneer. For example, an item costing 2500 yen (23 USD) in an auction can easily come to 50 USD after all the fees. Basically, it depends on your luck as to whether buying using SMJ is worth it or not. Most of the time, it isn't. 18 comments! Post a comment! I do this for free you know?